A working toilet is often taken for granted. That is, until it breaks and you are left with a problem. There are quite a lot of things that could go wrong with what seems like a simple device. Being 24 hour plumbers, we have seen it all! Let’s have a look at the most common toilet problems and how to deal with them effectively. A ‘running’ toilet: After you have flushed your toilet, the water keeps running until you lift the handle or push the button again. This could indicate a number of things, most commonly that the float ball or rod is misaligned. 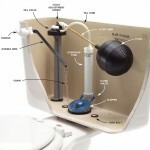 Gently bend the float rod carefully to move the ball so it will not rub against the side of the toilet tank. Make sure the float ball is empty. 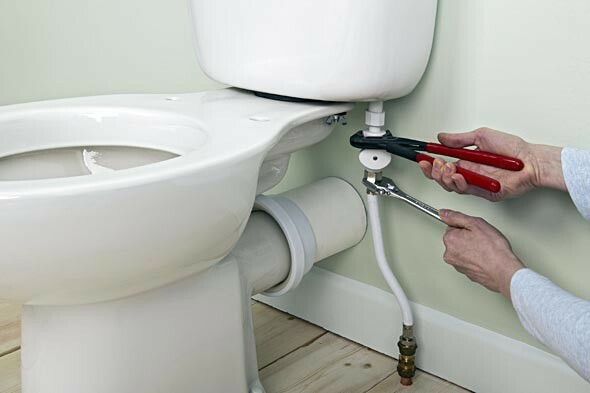 The toilet does not flush properly: This means the drain could be clogged, there might not be enough water in the tank, a small leak or the ports around the bowl rim is clogged. Using a plunger or auger, remove the blockage. You can also raise the water in the tank by bending the float rod slightly. The toilet is noisy: If your toilet makes a big racket at the end of the flush cycle fill, you might be dealing with a badly manufactured (aka cheap) valve. 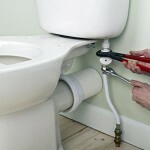 Simply change the valve with a good quality valve for better plumbing. A bubbling toilet: This is a common toilet problem we see as plumbers and is more common in complexes where houses share plumbing pipes and systems. When one toilet in a unit is blocked, water can push back up in another unit. A qualified plumber should investigate the blockage and check to see if the pipes have enough ventilation. A leaking toilet: If you notice a water stain behind your toilet bowl, you have a leak. The cause is usually the two washers of the ball valve, located in the cistern. Take these two washers out and exchange them with two new ones. If you are stuck, call us – we are 24 hour plumbers, ready to assist anytime of the day or night with all your plumbing dilemmas!